Kanye West has been a fan of women’s clothes for some time, even wearing some women’s tops like this Celine creation favored by Jessica Simpson. But it wasn’t until he hit his latest concert tour that he went fully female with (drum roll please)… a skirt. Now we have nothing against men in skirts — there’s nothing like a good Andrej Pejic appearance on Jean Paul Gaultier’s runway and we like us a good Marc Jacobs kilt every now and then. 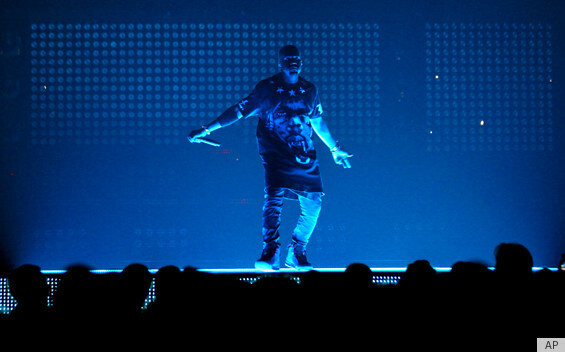 But we were surprised to see Yeezy assume his macho position as World’s Biggest Hip Hop Star at Madison Square Garden last night in the unexpected look. 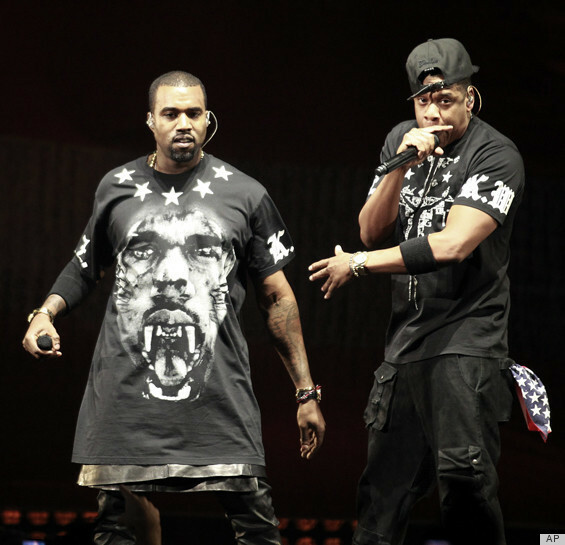 Joining Kanye on stage was Jay-Z, the other World’s Biggest Hip Hop Star, who was unsurprisingly skirt-less. He did have on a passable pair of cargo pants, however. 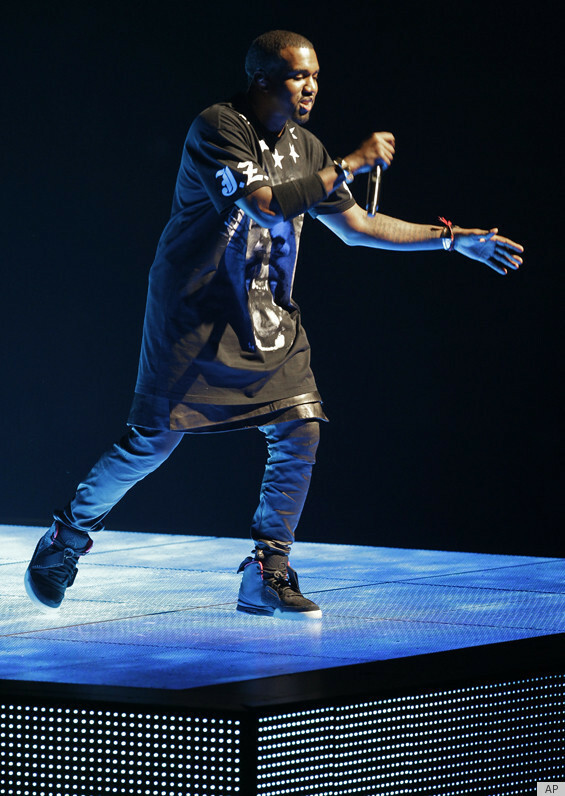 Check out Kanye’s sartorial statement below — what do you think of the skirt-over-leggings look?